It's often said that it takes a special type of employee to work in the nonprofit sector. The hours are long, the pay usually isn't so competitive, and there are a lot of challenges to take on each and every day. That said, those who do work in nonprofit jobs enjoy the reward of knowing that their work is changing the world for the better. Read on to learn how to find a job working for a nonprofit organization. If you're interested in working in the nonprofit world, here are a few ideas to get you started. It may take some time and networking, but in the end, it’ll be worth it. Start volunteering. To a non-profit employer, your volunteer experience is a clear indication of the time and effort you're willing to put in to make a difference. If you don't have any volunteer experience, look for opportunities in your area and ​start volunteering as soon as possible. If you do have volunteer experience, make sure you emphasize it in your cover letter and resume. Once you find a volunteer position that suits you, put your best foot forward. Take the initiative and ask for more work if you find yourself with downtime. Participate in community activities and fundraising events. Recruit other volunteers. In other words, go above and beyond to demonstrate your passion for the work. This could lead to a job within the organization and will also garner you some good reference material when you start applying for jobs. When it comes to volunteering, don't spread yourself too thin. Generally, in terms of your volunteer work, quality is better than quantity. Being focused on one organization or type of volunteer activity is better than trying to join every volunteer group possible. Instead of doing short stints at a variety of organizations, stick with one and try to work your way up. 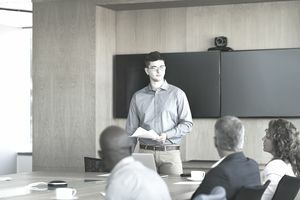 Doing this could even lead to a paid role, but regardless, a leadership position looks great on your resume, demonstrating your drive and dedication to the company and the cause. That said, make sure you present yourself as a well-rounded candidate. Although you should focus your volunteer efforts, try to develop a wide range of professional and personal skills, too. For example, are you an English major who can speak Spanish? A top-notch communicator who also has some web design tricks up her sleeve? An accountant with a knack for digital photography? If you have any of these, or similar, skills, emphasize them in your cover letter. Nonprofits don't always have the fattest of bank accounts – if anything, it's usually quite the opposite – so candidates who can wear many hats (and wear them well) are highly sought after. So, show off your full skillset. Consider an internship. If you're a student, a recent graduate, or in the midst of a career change, you might want to consider finding an internship at a nonprofit organization. An internship can have better-paid employment prospects than volunteering and can also involve more interesting work than volunteering. Look online. In addition to the broad-scope employment listings sites you should be using – in which you can search for "nonprofit jobs" – you can also check out job search sites specifically created for nonprofit job listings. Take a look at Idealist, Dot Org Jobs, and the Career Center at the Nonprofit Times. Check nonprofits' official websites for job openings. In addition to using search engines, many nonprofits list employment opportunities on their own websites, which you can usually find on a "Careers" or "Get Involved" page. Applying directly is a good way to show you're staying updated with the organization via their online presence. Start local. Many large nonprofits have smaller, regional offices that might be the best place to start out. For example, if you're interested in working with Planned Parenthood, applying for a volunteer position or a job at their center within your local area is a good stepping stone if you don't have prior experience working at a nonprofit. Make sure your application materials are stellar. Although the application process to work at a nonprofit might not be as cut-throat as the pathway to a major PR firm or finance company, the job market is competitive in general. It's always important to make sure your cover letter is compelling and typo-free, your resume is flawless, and that you are properly prepared for your interview.